WASHINGTON (AP) — President Donald Trump vastly inflated the value of planned Saudi investments in the U.S., as he explained why he’s “standing with Saudi Arabia” despite the conclusion of his intelligence officials that the kingdom’s de facto leader ordered the slaying of a U.S.-based journalist. Trump on Tuesday cited a $110 billion arms package that he said is part of $450 billion in planned Saudi investments in the U.S. Actual orders under the arms deal are far smaller, and neither country has announced nor substantiated Trump’s repeated assertion that the Saudis are poised to inject $450 billion overall into the U.S. economy. 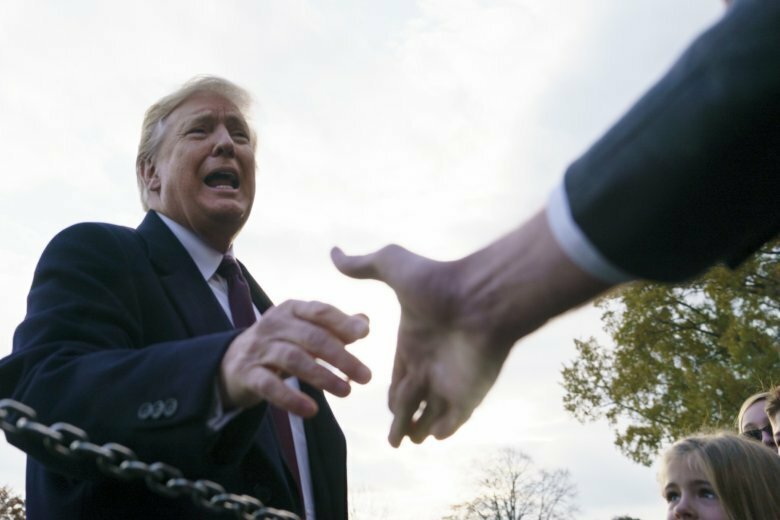 Trump’s economic argument was part of his case for deciding not to punish Saudi Crown Prince Mohammed bin Salman or cut arms sales to Saudi Arabia for the killing of Washington Post columnist Jamal Khashoggi in Saudi Arabia’s Istanbul consulate. An official familiar with the U.S. intelligence assessment said the crown prince is considered responsible for ordering the murder; others familiar with the case believe the crown prince was involved in the killing but are not sure to what extent. All spoke on condition of anonymity because they were not authorized to discuss sensitive intelligence findings publicly. Although it’s up to Trump whether to believe his officials’ conclusions and whether to give primacy to the broad benefits of the U.S.-Saudi alliance, the economic pillar of his argument does not hold up. THE FACTS: There’s less than meets the eye to the arms package. Partly negotiated under the Obama administration, it mixes old deals, some new business and prospective purchases that have not been worked out. Moreover, the State Department estimated last year that if the full $110 billion in prospective business is fulfilled, it could end up “potentially supporting tens of thousands of new jobs in the United States.” That’s a far cry from the 500,000 to 600,000 jobs that Trump has said the arms deal is worth. Details of the package have been sketchy, with no public breakdown of exactly what was being offered for sale and for how much. The government’s Congressional Research Service has described the package as a combination of sales that were proposed by President Barack Obama and discussed with Congress and new sales still being developed. “Very little has changed hands,” says Bruce Riedel, a senior fellow at Brookings Institution and former CIA and Defense Department official. The U.S. exported only $16 billion in goods to Saudi Arabia last year and imported even more. Saudi Arabia’s entire annual economic production is valued at $684 billion. A $450 billion Saudi investment in the U.S. would amount to about 6 percent of its entire economy going to the U.S. if spread, for example, over 10 years. During the crown prince’s visit to the U.S. in March, he spoke vaguely of the possibility of Saudi investment opportunities in the U.S. that could be worth $400 billion, saying, “A lot of things could be tackled in the close future,” according to the Arabian Business website. The U.S. earlier sanctioned 17 Saudi officials suspected of being responsible for or complicit in Khashoggi’s death. Members of Congress want the U.S. to follow the lead of countries that have taken stronger action. Germany, for example, has banned new weapons exports to Saudi Arabia and halted previously approved arms exports.